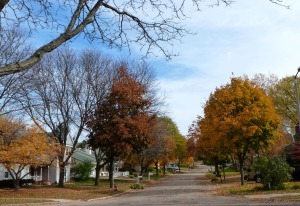 Listed below are homes for sale in Walnut Grove, a neighborhood located in Far West Madison, WI. Listings are updated multiple times a day from the SCWMLS. For more information about any of these Walnut Grove homes for sale, just click the "Request More Information" button when viewing the details of a property. We can provide you with disclosures, past sales history, dates and prices of homes recently sold nearby in Madison, and more. Walnut Grove abounds with beautiful homes, scenic trails and rolling parkland. Engaged neighbors who take a great deal of pride in their community are to thank for that. In fact, the Walnut Grove Homeowner’s Association is one of few in the city that takes responsibility for maintaining the greenways and trails within its borders. Almost every street and cul-de-sac in Walnut Grove has access to the neighborhood’s private trail system, so a natural setting for an evening walk or jog is always just steps away. Community pride shines in those greenways, which are maintained by the Walnut Grove Garden Club. The neighborhood also boasts a busy calendar of social events that includes holiday parties and parades held throughout the year. Single-family homes account for the majority of housing stock in Walnut Grove. Homes here are arranged on cul-de-sacs connected by a series of greenways. The greenways often hedge back yards in the neighborhood, which offers a serene and private atmosphere to enjoy campfires and cookouts. Many of the homes here were built in the 1970s. 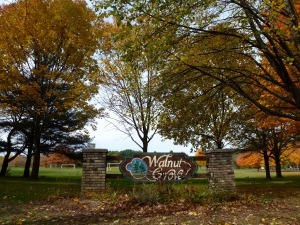 There are no businesses or commercial areas in the neighborhood, and Walnut Grove Park runs through the neighborhood’s southwest corner. A number of condominiums and townhomes on the neighborhood’s northern corridor offer a variety of housing options for buyers with varying needs to enjoy this quiet far west side community. 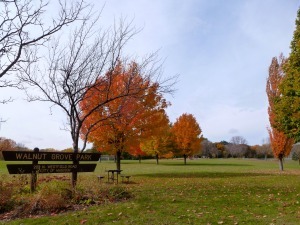 Despite its quiet park-like atmosphere, Walnut Grove is centrally located on Madison’s far west side and offers quick access to shopping and dining along the Gammon Road corridor. In fact, West Towne Mall is less than a mile from the neighborhood. The West Beltline Highway, less than a mile from Walnut Grove, offers fast travel to Middleton, Cross Plains, Verona, Fitchburg and Madison’s west side. If a bike is your preferred mode of transportation, you’re in luck. Walnut Grove’s trail system connects to the city’s extensive city bike path, so you can hop on and ride as far as your bike will carry you. The Alicia Ashman Branch of the Madison Public Library System, Jefferson Middle School and Memorial High School are all within a mile of the Walnut Grove, so children won’t have to travel far to learn or play. University Avenue and Mineral Point are just minutes away, which provides an alternate route to commute to Downtown Madison or Middleton. For information about finding a home in the Walnut Grove neighborhood or to sell your Walnut Grove home, contact our team for a better real estate experience. 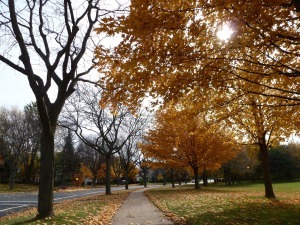 Walnut Grove neighborhood is located on the Far West Side of Madison in MLS area Madison – W02. Below are more homes for sale in that area.